The Bienstock Group is representing the buyers in their purchase of 18055 Coastline #1 in Malibu, California. The property is a unique condo with fabulous views of the Pacific Ocean from almost every spot in the condo! We couldn’t be more excited for them! Our clients called us wanting to downsize from their large Hancock Park home to a condo. They needed their purchase to be contingent on the sale of their home. They only wanted to put their home up for sale once they were in escrow on a property they were excited to purchase. All worked like a charm and they’re buying a fabulous condo on the water and selling their Hancock Park home at the same time! 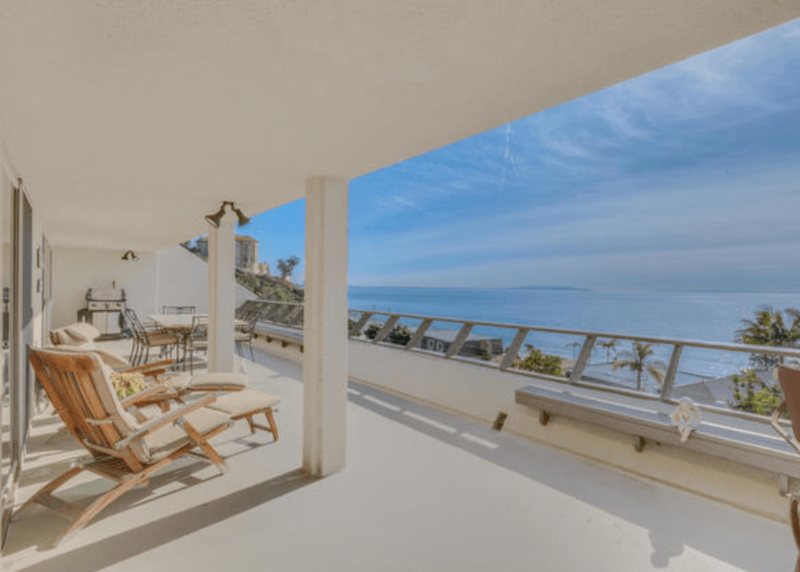 The condo our clients are purchasing is a rare Malibu beach retreat with panoramic ocean views close to Santa Monica, Pacific Palisades, and the PCH. It is one of the larger units in this area with a light and airy, level floor plan that takes advantage of spectacular Ocean, Malibu Coastline and Catalina Island Vistas. There is an extra large ocean view deck that extends along the living room, third bedroom or office, and the master bedroom. The space is great for indoor/outdoor living. There are designer finishes throughout with wood, travertine and glass, and a luxurious master bath. The property is a very special, convenient Malibu retreat with a 2 car garage, laundry in the condo, low monthly HOA fees, and unobstructed ocean sunrises and sunsets forever. We are super excited for our clients to downsize and to retire on the ocean with amazing panoramic views of the water. At The Bienstock Group we love what we do, including making our clients dreams come true.